I have received a lot of great feedback from many of you on my previous post "MFA is the new MBA". There has been some heated debate from our MBA strategists on whether designers can really handle the data-driven culture of board level decision making. 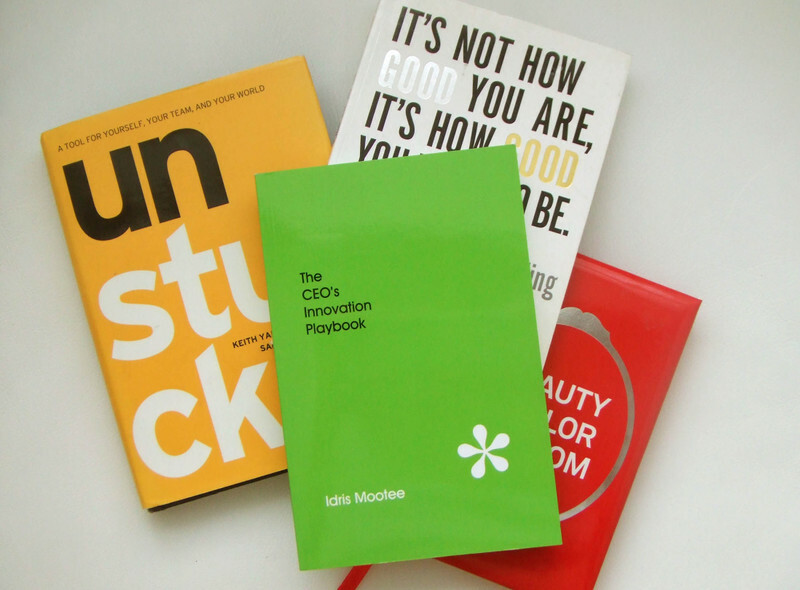 Here's how Tim Brown of IDEO sees design thinking can drive business innovation. 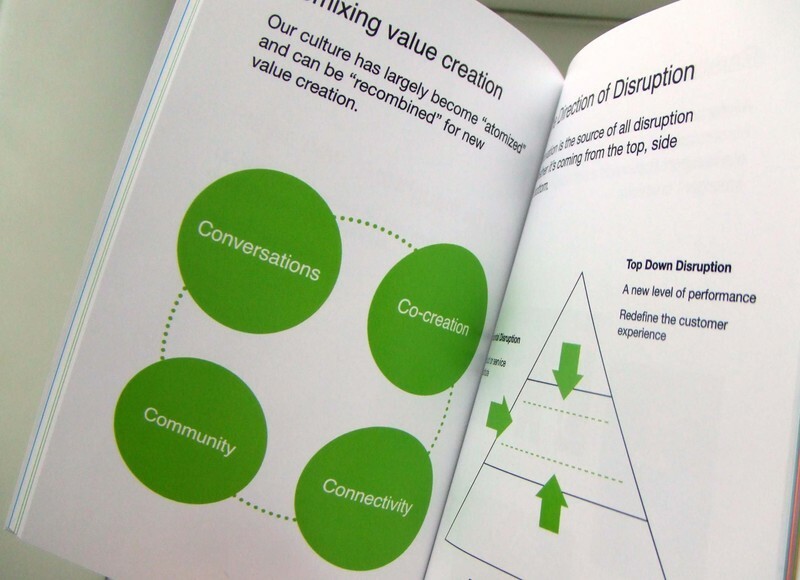 He describes "design thinking" as a human-centered approach to solving business and technical problems. It can be used to "drive strategy.... no one knows how to act on strategy from Power Point or Excel." He also talked about inspiration. Inspired people, like scientists and artists, have keen observational powers and are open to surprise. In short, they look. But more than most, they see. They are also empathetic, able to feel something toward the object of their thoughts. There's no questions that these tools can infuse new insights into business strategy. I think there's even more to that. Back to the business world, there are misguided notions that rigorous quantitative analysis is the sure path to a creative business strategy. Examining the industry structure (Porter's 5 forces) will determine the attractiveness of any businesses. It's a very useful tool indeed as it gives you a snap shot of the current state of the economics of the industry, but it will not inspire you with new ideas to change the industry structure or economics. Well, some consultants do that on paper, but at the end of day, that's not how you get the "big idea". It all needs to come back to customer-centricity. It is about applying imagination to fulfil customer's unmet needs (both articulated and unarticulated). I call it "engineering of human desire". In my own 25 years experience of strategy consulting, 60% of the world's business problems can be solved by design thinking, 20% is about people's issues and the other 20% are simply not solvable. 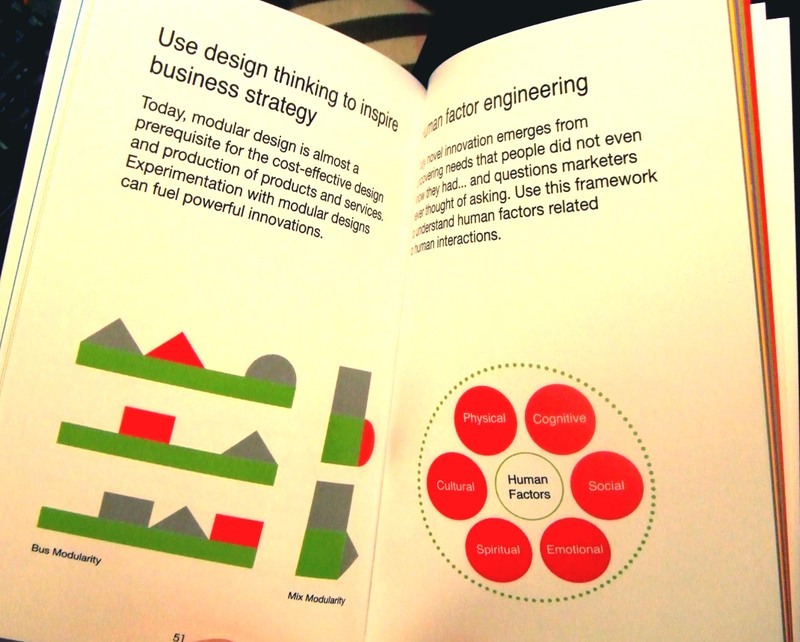 Human-centered design thinking can inspire and inform business strategy. The two main tools are prototyping (producing ideas quick enough to fail and learn) and story telling (getting things implemented by selling compelling narratives and not just "concepts"). 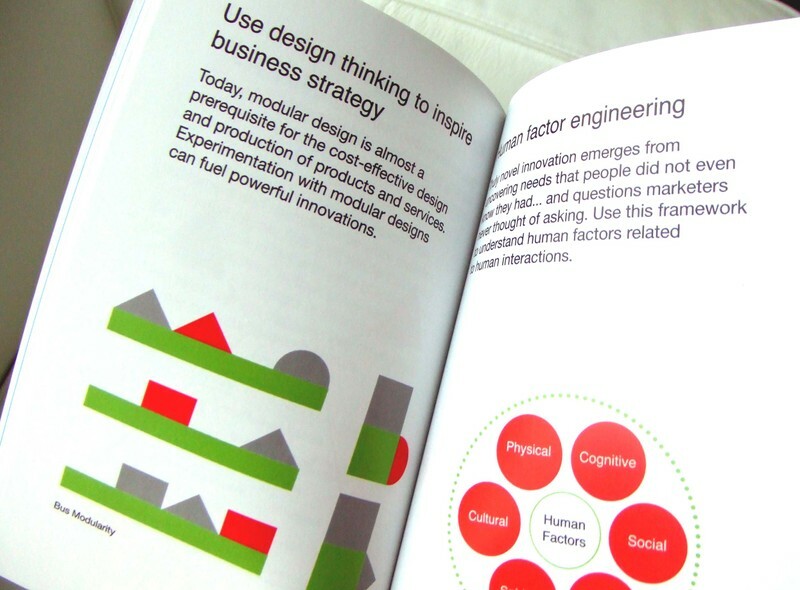 Design thinking in businesses strategy can help to explore growth opportunities, solve complex problems, and achieve meaningful differentiation. There are many useful business frameworks in my toolbox that work nicely to compliment these design tool kits. I have been building this tool box for the last 12 months in my spare time, and it's a complete crossover of design and business tools. I have included a few of them in my privately circualted CEO's Innovation Playbook. I hope to share some of those later as I am still building on those. Party-hearty social networking site Going.com is currently trying to figure out how to spend a newly raised $5 million from General Catalyst Partners and Highland Capital. That’s a lot of money for real partying. Twitter is sucking up more investment money from Union Square Ventures despite they have no idea of how to make money or any early signs of future profitability. Anyone has some idea of how they can make money pls share with me? Back to the valley, the latest social networks startup is Pownce, founded by Kevin Rose, the co-founder and chief architect of Digg. Pownce allows you to send text messages to individual friends or groups, post microblogs, or short announcements, to the larger community. This is very similar to Twitter or Jaiku. What makes it special is the combination of private messaging and file sharing. A company called MOO (Disclosure: I have nothing to do with it although it is similiar to my last name) that produces mini cards and stickers, is showing everyone that with enough creativity even "offline" business can participate in the Web 2.0 thing. By partnering with social networks such as Flickr, Bebo, Habbo, Vox, Fotolog, LiveJournal and SecondLife, MOO is playing smart. 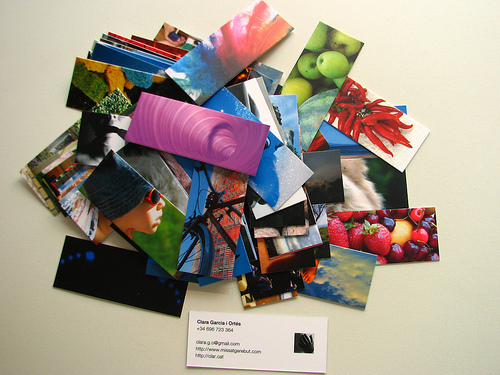 Customers that have accounts on those sites are highly facilitated when it comes to creating their MOO cards, since they can just utilize their existing photo collection, already uploaded to their preferred social networking site. They have great stuff. I am ordering mine today. They are so cool. No one should ever need to go to print those ugly boring business cards from Staples ever again. 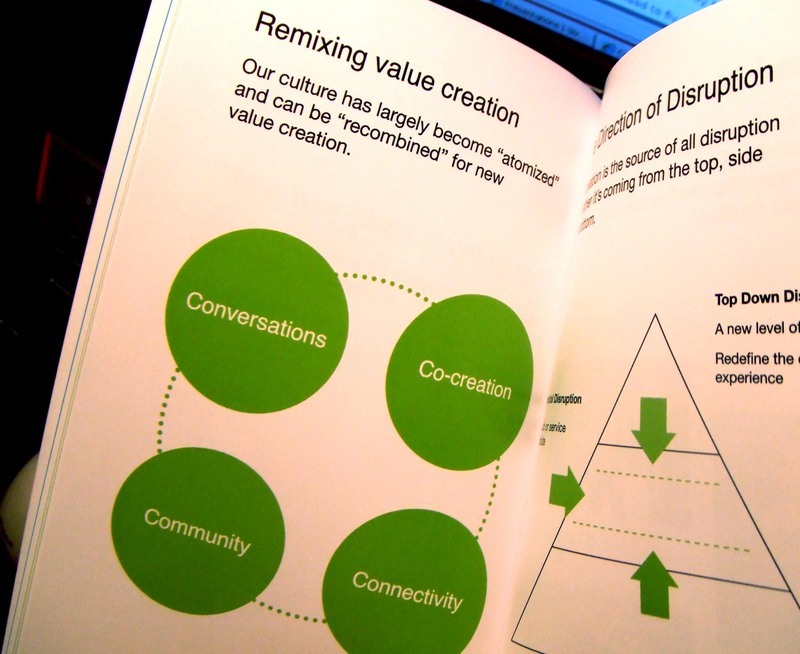 Companies should start thinking about integrating Web 2.0 with the real world. MFA Is The New MBA? And Design Is Strategy. You may be surprised when I tell you I beleive this is coming. Especially if you know I've been a boardroom level business strategist all my life with advanced business education credentials. This post is inspired by a question posted by David Armano from Critical Mass. Can an MFA do the job of an MBA? I vaguely remember reading something in HBR a while back declaring MFA is the new MBA...essential for a business career. Companies have come to realize that the only way to differentiate their offerings is to make them desirable and emotionally compelling -- which suggests an arts degree is now a hot credential in business (although I can't imagine them teaching finance in design school). Today very few large corporations explicitly recruit for MFAs. I wouldn't be surprise if B-Schools start offering upgrade courses specifically designed for MFA students. So what is design (in business)? It is often being used interchangeably with creativity and introduction of new products. For an automobile company such as BMW it is means “engineering”; for a luxury goods company such as Prada or Hermes it means “styling”; for an Internet company such as Yahoo it means the “usability”; and for an office furniture company such as Herman Miller it means “human ergonomics’. In fact, design has always been a key component of business success to all of them. Having said that, design is often only treated as “downstream” activities. Design has never been a subject discussed in the boardroom. In my long career as a strategy adviser to Fortune 500, I have never seen "design" as part of any corporate level strategy consideration. Now this might change. Strategy + Design are two very different disciplines in nature. One is maximizing profits through economics of scale and scope in marketing and production. The other is about customer empathy and dreaming up new products/services. The intersection of design and business is where design is being taken up to a strategic level and being used as a basis of competition and tp power a competitive strategy. The key question is should one follow the other or is there an intersection of design and strategy or are both completely overlapped? What happens if the realms of design and business completely overlap and design becomes the core strategy of the business and the business turns out to be all about design? We have yet to figure what's the best organization structure to make this happen. 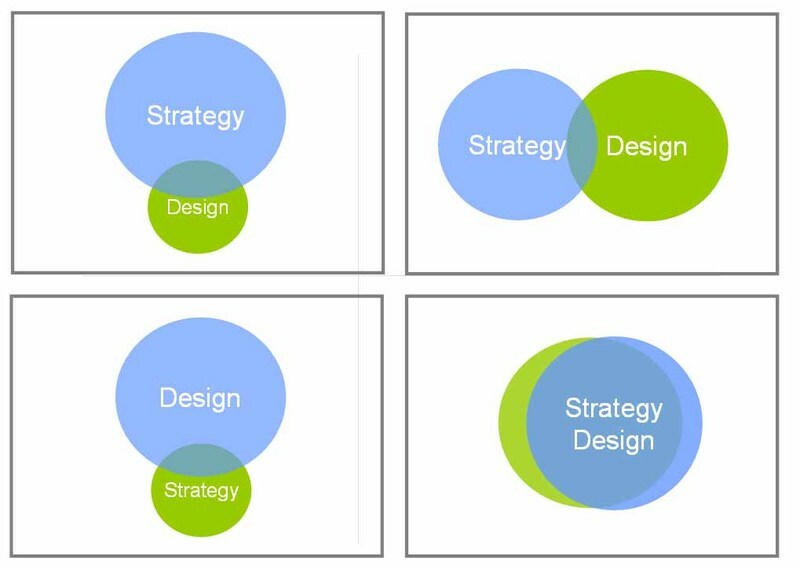 Here are the four scenarios of how strategy and design works together. More on this topic next week. Click On Your Email To Make A VOIP Call. Voila! 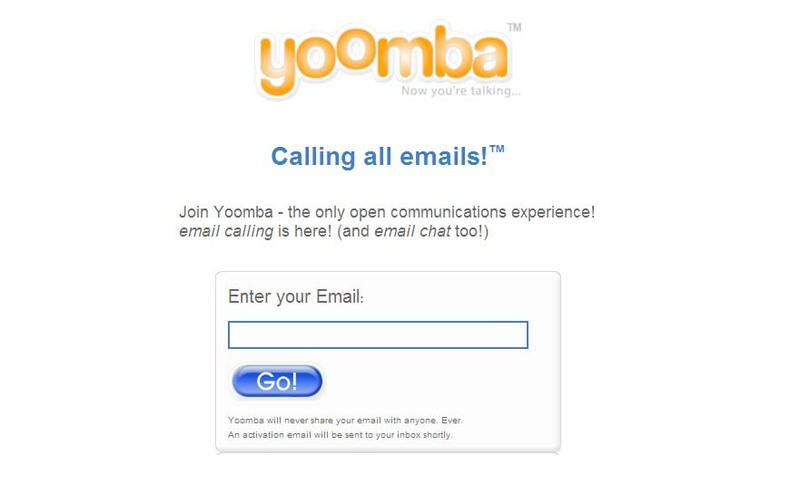 Startup Yoomba just launched a service that lets e-mailers place VOIP calls and exchange instant messages. That's great for me. It seems to me that this is a no risk idea. The service is totally free. They operate a P2P service that lets any e-mail-address owner place a VOIP call or begin an IM session with any other e-mail address, whether or not the recipient also is a Yoomba user at all. E-mailers become users by registering at Yoomba's Web site. Interestingly enough, no login ID and password are required. Just enter your e-mail address, and the registration process happens behind the scenes, where the company's server links that e-mail address with their IP address. The service places "call" and "chat" buttons in Outlook, and Outlook Express. No need for any population which is typically a barrier. I think this attracts not only individuals but small businesses. This one is a potential biggie. This adoption can happen pretty quickly once people try it. Click and talk. Phone numbers become less important as we will use our e-mail addresses as our core communications id. We can change phone numbers, long distance providers or carriers and don't ever need to care about the phone numbers. This will definitely take off. The way they make money is through putting targeted ads in the user's e-mail interface. They're sure to have a pay package for an advertise free service, and speaking of calls, I need to make one myself. Here’s an interesting opportunity for those who are getting bored with their current job. A social media solutions co. (can't say the name) is looking for a Social Network Marketing Director that will be based out of Toronto, Canada. The product provides social networking extensions that allow any branded enterprise to build online communities all centered on user generated content (from video to music). Exciting work and a great team. The role involves product management, marketing and market intelligence. It also involves contributing to a long term product vision. Basic requirements include MBA, online marketing and preferred experience in designing, growing and managing social networks. If you are interested, drop me an email. 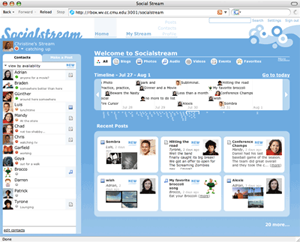 Carnegie Mellon’s HCIC to “rethink and reinvent online social networking.” The project is called Socialstream. The project goal is to “create a system for users to seamlessly share, view, and respond to many types of social content across multiple networks.” We are talking about cross media social search. The strategy is a logical one. It basically aggregates content across many different networks so a user has a single location to discover new content and communicate. The big idea is that it will present social information in a way that ties it to the person who upload the information, and not the site from which it came. So it connects back to either the creator or the owner. I can think of many vertical applications and I have a few good ideas on how you can beat Google in that. Meaning, if we move fast enough to build a prototype to sell to them we can make a few bucks before Christmas. Interested? Attention All Designers! Black is Green. Back in Jan this year a blog post titled Black Google Would Save 750 Megawatt-hours a Year proposed the theory that a black version of the Google search engine would save a lot of energy due to the popularity of the search engine. Since then there has been skepticism about the significance of the energy savings that can be achieved and the cost in terms of readability of black web pages. Powered by Google, Blackle was created on the premise that a black, as opposed to a white, computer screen saves a significant amount of energy. Multiply that by the number of searches conducted a day hey we're on to something. Now, imagine if all Window OS default screen color I set to black and the top 100 most popular sites in the world change their landing page color to black, what kind of savings are we talking about here? I know not everyone is crazy about a black screen, but if this is part of the sustainable design that's a different story. I can do with grey. I'd love to hear from our creative and experience design friends on what they think? Black is Green. Voyeurism has evolved. It isn't confined to checking hot spots or cool cafes or the local park. Now people are quite willing to show you stuff voluntarily. How often do you get to look through someone else's pockets and see what they carry. This is an excellent source of ethnographic insight for handset or MP3 manufactures. (It is is just like the idea called Face Your Pockets. 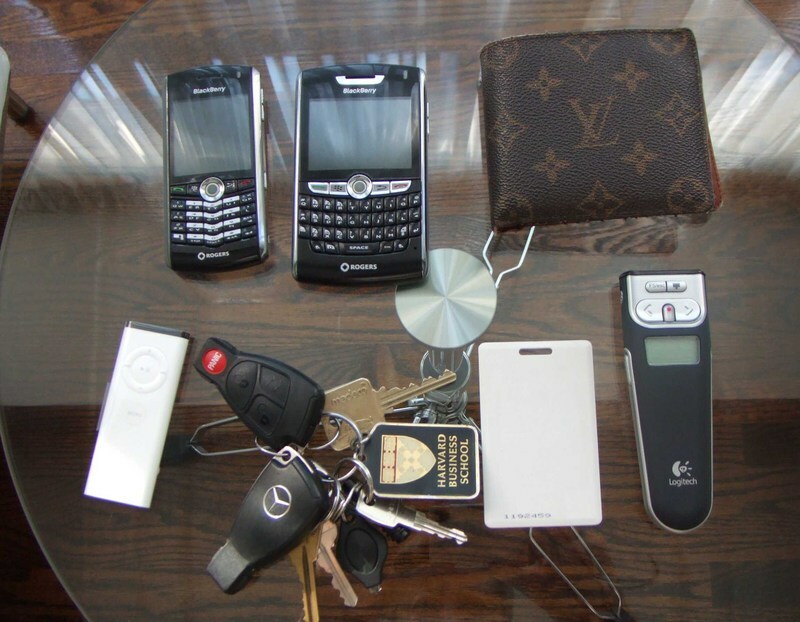 Which is a somewhat bizarre one for you and your friends to empty your pockets onto your scanner, hit the scan button. Then e-mail your shot to faceyourpockets@gmail.com with some personal deets. Check it our here.) 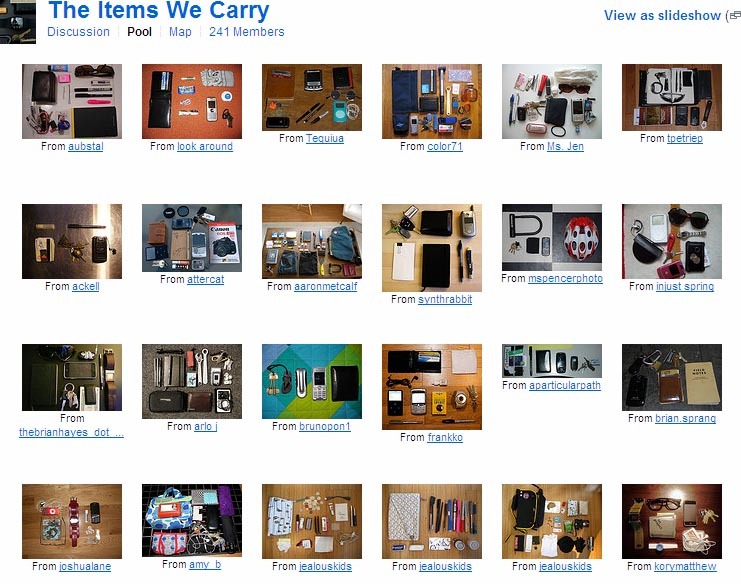 This Flickr group called The Items We Carry (242 members to date) was formed for people to display what's in their backpacks or purses. I love the way they displayed and laid out all the items. I'd like to start a group called What's Inside The Drawer In Our Bedroom Closet. Anyone interested? A friend of mine saw my posting yesterday and sent me an email to ask about the most common start-up mistakes entrepreneurs make. There are just too many mistakes, but some are just part of the journey. But there are a few that are avoidable and these are the key ones that have most often prevented the success of many, even though they were smart and armed with great ideas and lots of invested capital. Happinessless. Among the many blind and sometimes extreme ways we go about finding happiness, a lot of people practice selfish happiness as a goal. Then life becomes goalless. For some, starting a venture is a pursuit of happiness. Many entrepreneurs went into new ventures in a happinessless mode and kept convincing themselves that they love it when they cannot deal with the uncertainty. That is a sin. There is a big difference between aspiration and achievement. Your start-up has no future if you are not happy. Lack of authentic ideas. Almost 90% of all successful start-ups are sprung from a genuine idea born from true personal experience or a personal story. It is about truly believing that you are bringing some value to fulfill customer needs. They have no shortage of ideas and need not to pretend that they have to work hard to com with ideas. The best entrepreneurs I’ve worked with are the type of people that don’t need to look for idea…but it’s the ideas that find them. Great ideas just show up on their door front. Inability to focus. This is a killer one. All Web 2.0 startups are dealing with endless possibilities. The challenge is to concentrate on only one opportunity, and entrepreneurs can only afford one. The sooner they find its focus and make strides, the better. Yes, there are many exciting ideas, but they can’t pursue them all. Once they are committed to one idea, they wouldn’t look elsewhere until you’ve got something or they hit the wall. Technology-driven rather than user-driven. This is extremely common. This nanochip will change the way in which all networks operate because it's 100x better than anything available today. Or This photo-sharing feature will change the way people think about photos where they should reside. Not necessarily. This type of naive faith in application or technology leads to what might have been an avoidable failure. Spending extravagance. A web 2.0 startup is like any other startup. They need to live with the fact that there will be no infrastructure support or money to do many other things. They must know how to prioritize, preserve cash, and spend wisely. Even if proper financing has been raised, wasteful spending by founders sets the wrong example for the entire organization. Jet-set lifestyles are only allowed post liquidity event. Excessive desire for ownership and power. Holding on too tightly to the % of ownership may not be a good idea. They must use that currency generously to attract leadership, employees, and investors that will maximize shareholder value – including the founders’. Some equate ownership with power. It may be true in traditional start-up, but not in the web 2.0 world. Arrogance. There is a big difference between over confidence and arrogance. Web 2.0 entrepreneurs must acknowledge and constantly reflect the limits of their abilities and seek help and advise when others can make better decisions. Boring People. 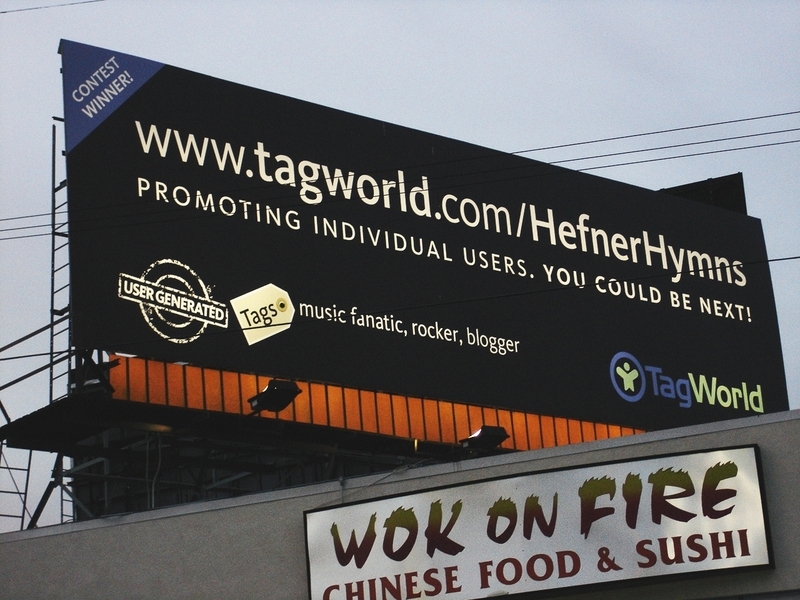 A big of Web 2.0 start-up is about getting people excited. Not only in the project but in what’s going on out there. It is almost a culture. Many put boring people as managers and that goes against the culture of web 2.0. I used to have a couple of SOB ( Smart, Organized, Boring) senior folks working for me on a very exciting project, one day I decided these are the wrong people and I transferred them out into another project. Boring people cannot energize, excite and coach. In some worse cases they enervate, depress and control. You don’t want that. Web 2.0 Entreprenuers! This is the time. The scene is a Starbucks in Downtown Toronto, Canada. I am sure similar scenes are happening in London, Amsterdam, San Francisco or Boston. Four young men and women are doing a five-minute web 2.0 idea pitch from a Macbook to two venture capitalists. One of them asked how much it had burnt so far for the prototype. The reply was "Five". I think the VCs thought they meant $50,000 until another question revealed it was $5,000, and the total funds being sought a mere $350,000 – definitely pocket change for the VCs who think in millions. This story is exceptional something that shows the lean and mean face of the new startup boom, and thanks to low cost infrastructures, cheap and powerful bandwidth and the ease with which websites can be set up - it costs 1/3 the price it costs to set up a site than in 2000. This is not another bubble. This is the real thing. These days the creative class of young men and women are working on something that is actually a working part of a larger shift - not just a piece of napkin with an idea scrawled on it. The new boom is turbo-charged by a new generation of entrepreneurs who are investing money made from the previous boom. The trend for low-cost startups is generating a new class of venture capitalists prepared to invest small-ish sums of money, unlike big capitalists which prefer to spend millions on one startup. Many are small millionaires who made their money working at the Google of the world and are now ready to play for themselves. There is no way for organizations (even Google) to retain these people as they beleive they owe it to themselves. Hundreds of the 2,321 Googlers (hired before their IPO) in Aug 2004 have passed their fourth anniversary. Now they are free to cash in the final portions of their pre-IPO options, collectively worth about $2.6 billion before taxes. "There's the notion that it's not as much fun and that you don't have to stay there if you don't want to," said Doug Edwards, a senior marketing guy who resigned in 2005, shortly after his boss left. "You start looking for excuses, and they are not hard to find." This is the new class of entrepreneurs who are not motivated by greed or lavish lifestyles or big egos. They simply do what they're supposed to do. This is a new eco-system that powered the web 2.0 wave into the next stage. I am sharing a presentation here for those who are ready to take this path or exploring the idea. You can start a web 2.0 company for $5,000. Some ideas may still require $5 million. But there is never a better chance than now. May be it’s time for me to join the game. Oops, I need to start writing my "next-big-idea" business plan now. There is a plenty of Experience Innovation happening these days at the VW lab in Germany. They are working on a just-for-kids navigation system. The prototype child navigation system comes complete with GPS data, games and a time worm that eats away the hours until arrival. The one that I really like is a device for drowsy driving (I really need this one) and we all know it's one of the major causes of accidents. The idea is to use sophisticated camera systems to read highway markings and sound a gentle warning to alert the driver if the car is drifting off. They are even thinking about allowing the computer to perform a corrective action. Most cars are equipped with electronic steering but have very limited computer intervention. It usually provides just enough assistance to improve handling. Cars that can take complete control away from the driver is a frightening prospect.... but is a lifesaver in aviation. The key challenge is how do we determine when the driver is losing attention or intentionally jumping lanes while listening to Hip Hop. As software engineers better learn such human performance, they can use all sorts of signals to activate or disable the system—body temperature, movement in the seat, hands on the steering wheel, even eye movements. The hardware is all there, we're just waiting for the software. Now hereis a good idea for Google. 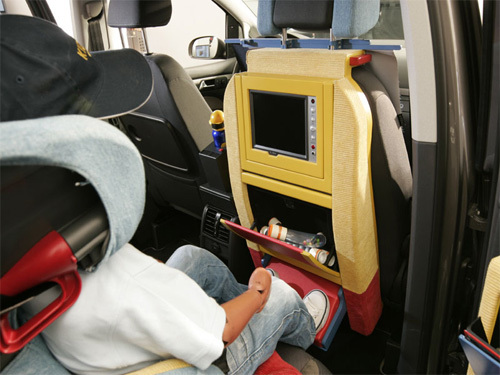 Google will provide the software to alert the driver about his condition, using movement and responsiveness etc. Then they will serve ads through the dashboard or radio to remind you it's time for a coffee. Or you can pre-program your trip with Google map and it will tell you about the local amenities nearby in case you need them. Software is free for download except they will provide you with the local ads. How's that? Google, if you are interested call me this weekend! Many of the readers of this blog are people engaged in the experience design space, so I thought you'd find this piece interesting. I have been creating different frameworks in attempts to create a taxonomy of experiences to help both clients and designers to use as a common language. I can share that with you another time. Today I want to share this piece by Bob Jacobson. He is an urban planner, technologist and author. He describes different types of experience — spiritual, philosophical, scientific and design — that bear on the practice of systemically designing for experience. Want to Work Fulltime as Citizen Writer or Editor? Break.com: They are the most desperate ones and now offering $400 per video and up to $2000 for animated shorts. You need to get your video on the homepage to qualify first. Revver.com: Probably the first site to offer an ad revenue split for content creators. They display an ad after your clip, and split the revenue 50/50. This is a proven model and seems to be working. They ae tweaking its model and try to give a larger payout. They expect the impression price ads to go as high as $20 CPMS. Edfoof: As they pay you to submit videos (not necessarily your own) and drive as much traffic to them as possible, they give you a cut of their Ad revenue. lMetacafe: They have a payment model based around the no. of views your clip actually receives ($100 for 20,000 views and topping $10,000 for 2 million views). I hear that some top earners make more than $25,000). Guba: You get $25 for every 100 new sign ups that are referred from your site via an embedded player or via a link in an email. Flixya: Flixya pays users to repost clips from YouTube, Metacaf, Daily Motion, Google Video and MySpace Video and other sites that offer embedded Flash players. They put ads all around these clips and ask you to drive traffic to them - and you get 50% of the ad dollars. Scoopt ScoopLive CellJournalist: All these sites offer to buy your newsworthy photographs, sell them to media companies and send you a cut of the revenue. Scoopt is receiving the most buzz. BlogBurst: Blogburst syndicates blog posts to news sites like the Washington Post. The top 100 users get paid between $200 and $6,000 a year. PayPerLink: Paid citizen PR. PayPerPost pays you to blog on certain topics suggested by advertisers. You don’t even need to disclose that you’re being paid. The amount can be in the hundreds of dollars per post (not bad). ReviewMe is similar to PayPerPost but many consider it to be slightly more ethical. Creamaid is also similar to PayPerPost. They described themselves as a platform to help companies instantly start an online word-of-mouth marketing campaign by stimulating, aggregating and syndicating the buzz from bloggers. Paid citizen PR. Scooptwords: They offer a button to place in your blog sidebar. Media companies (magazines editors) - can just click to buy your posts on the spot. lMyNumo: MyNumo is a marketplace for mobile phone content – you can sell your own videos, ringtones and wallpapers and earn 20% of the revenue. mDialogue: A new comer in user submitted video sharing, based in Toronto, the firm believes the dialogue about the movie is as important as the movie itself. They promsie to provide a better way to store, watch, share and discuss user created videos at DVD quality, safely and securely. "Social Networks" and "Social Identities"
3/ the activities involved or relating to. The "Social Network" brand will emerge more like badge. Much like in the early days of Apple McIntosh where there was a sense of gratification counting the number of icons I have at the bottom of the screen during start-up that indicates how many plug-ins I've. 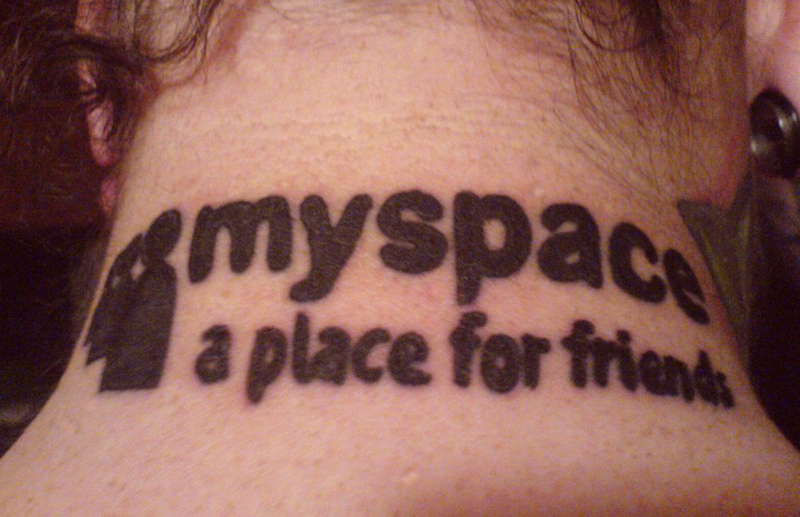 What does it mean for someone to be on MySpace or Facebook? In other words, what are those badges saying about you, who you are in the world of clubs? Consumer behavior has been studied as instrumental in the construction of consumer identities or self-concepts, what I refer to as the consuming subject. Consumption is often framed as identity construction. Much in the same way that a consumer’s use of products influence others’ perceptions, the same products can help determine his or her own self-concept and social identity. Social network is in fact a form of consumption. It will play a large role (and share with other product brands) in construction of one’s social identify. You can find some good insights from this article “Viewing American class divisions through Facebook and MySpace” that has been resonating throughout the blogosphere. 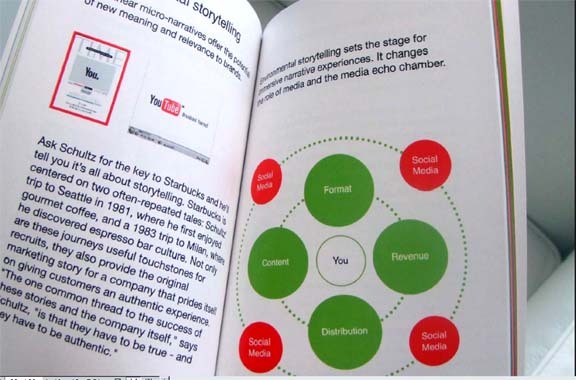 Social network is about associating one with brands and their affinity groups. Social network is a new form of identity construction and is still evolving. I will talk more on this subject next week. May be I will share my social network brandspace mapping with you. For now, I need to get back to my day job. Emerging "Social Commerce" and "Micropreneurs"
Social Commerce is here! A French company Zlio is pushing the right direction playing in this space. Received $4 mil US in funding from Mangrove Capital Partners (one of the early investors in Skype), they provide a platform that allows users to choose a set of products they like and create their own personal pages to sell them in just minutes. They can promote their pages by using widgets or blogs. The revenue sharing happens when someone buys a product on their Zlio pages. The US version of Zlio is coming later this year, I think this will ultimately be integrated with other social networks such as Facebook and MySpace. Imagine making your own mini-commercial with your web-cam and putting it up on Youtube to endorse your own mini-store. There are currently about 100,000 shops and 2.5 mil visitors per month. I think we will hear more about "social commerce" and "micropreneurs". You can expect more innovation to come pushing these concepts. Not expecting much money changing hands but it's expected to be lots of fun for sure. Experience is unique. There is no common definition on what is CX. It is much more complex than services or products. What it means depends on the context as well the industry. There is a human dimension; there is a service component; there may be a digital interface component and it may have to do with dialogue and conversation enabled by the product/marketing platform that happened during the pre or pro-purchase. I always see it as the art and science in the practice of continuously closing the gap between the customer value proposition and the delivering of real and perceive value from the customer perspective. Why so few products seem to be concerned with how they fit into the lives of their customers? Why so many people see products as products? Why is it that people still approach products /services as isolated entities, unconnected with everything happening around them? But the really great person will keep on going and find the key, the underlying principle of the problem—and come up with an elegant, really beautiful solution that works. That's what we wanted to do with Mac. This was taken from Steven Levy's bok Insanely Great. Until you read the last sentence, you might have thought that he was just referring to the iPod or iPhone. But the quote was from 1984 (remember the 1984 product launch), and reaffirms that transcendent product design is the core of their philosophy and approach. The reason product (including many web-based products) development has gone wrong is that people stop at the worst time—when the solutions are the most convoluted. I discovered this old presentation that I presented a few years back on this subject. It talks about many of the basic design principles that people totally forgot or simply ignored. I updated it with some newer illustrations and will be sharing that here. The concept itself is still evolving and if you have something to add please let me know. Have a great weekend!